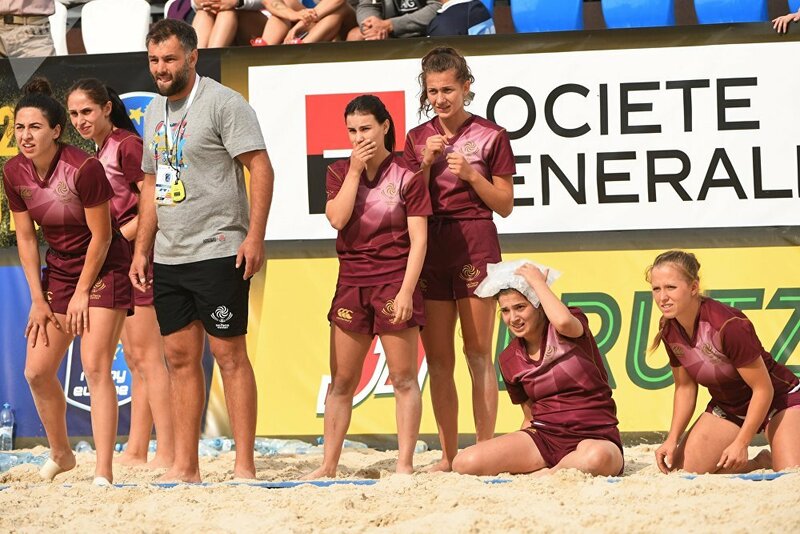 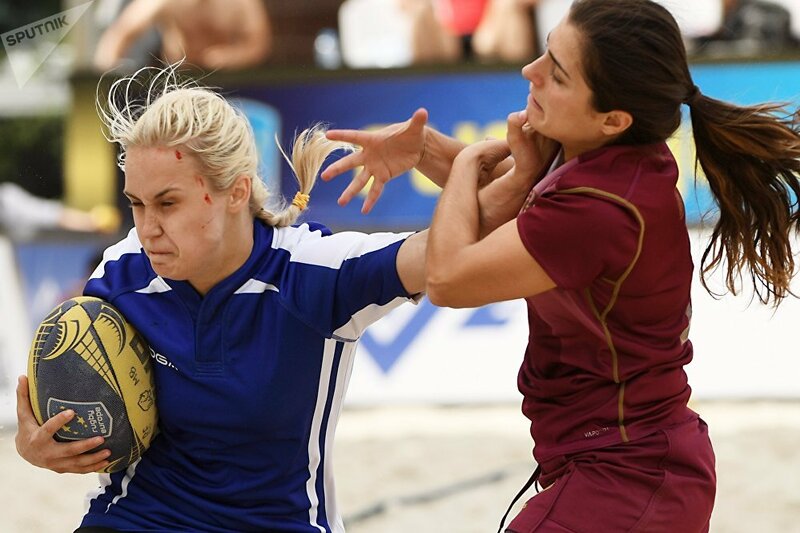 Players from Team Russia and Team Latvia during a beach rugby match in Moscow. 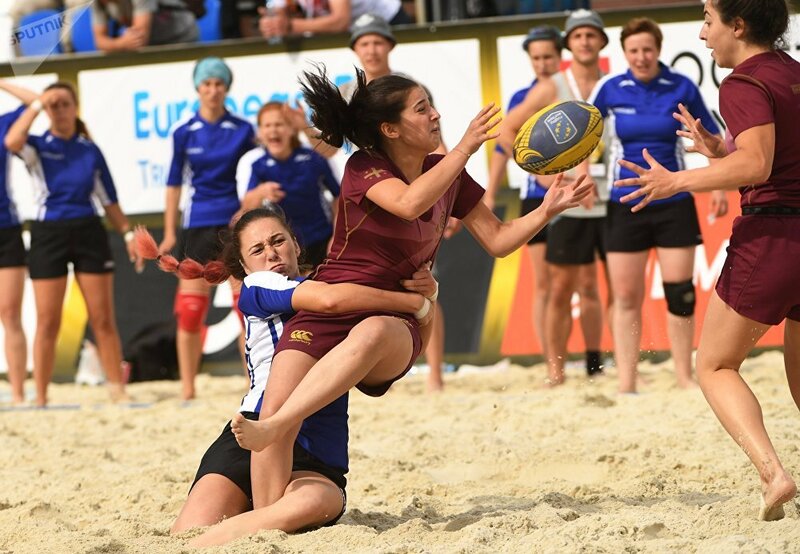 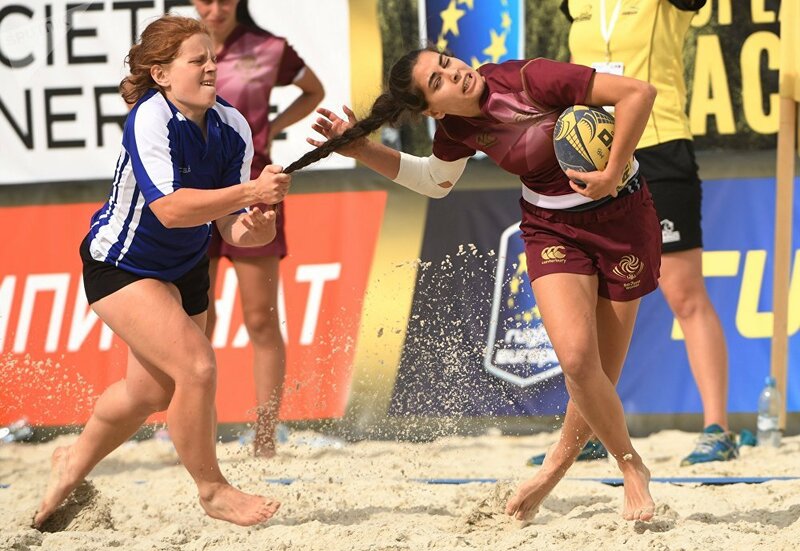 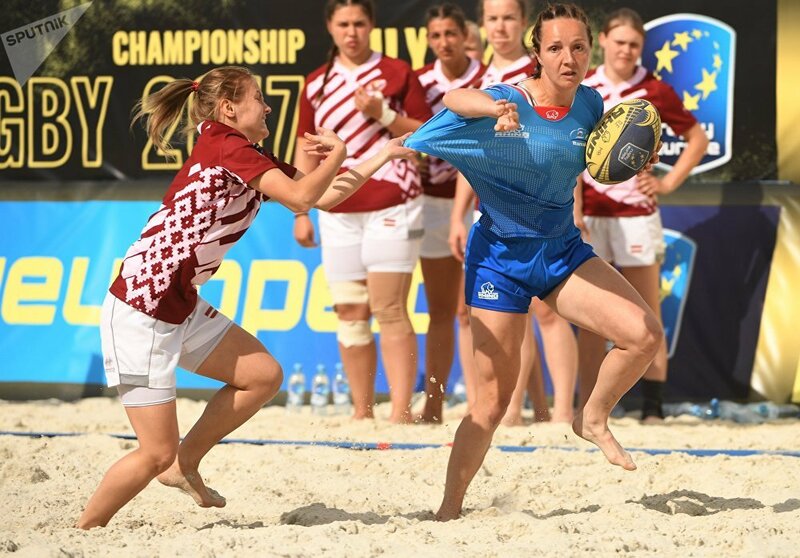 On July 22-23, for the first time history, Russia is hosting the European Beach Rugby Championship. 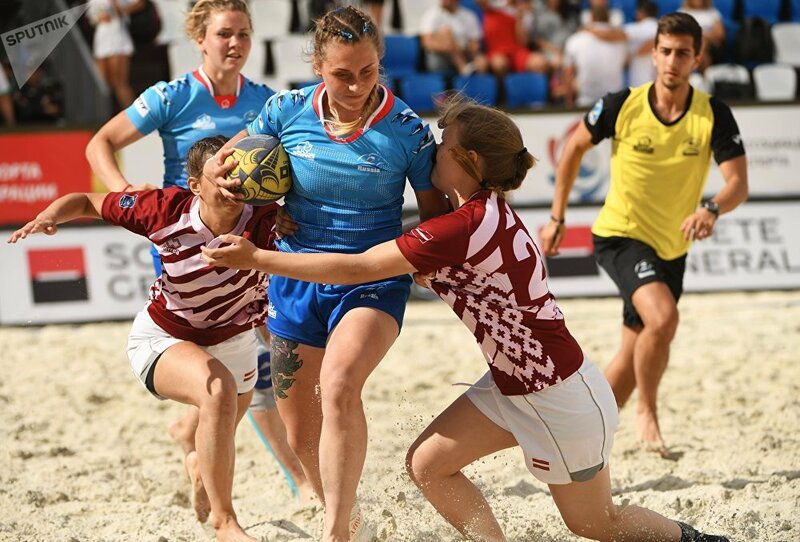 The event is being hosted in Moscow, with a total of 8 men's and 4 women's teams participating in the championship.